Idaho Youth Ranch Our Mission: The Idaho Youth Ranch provides troubled children a bridge to a valued, responsible and productive future. We are a catalyst for positive change. We always feel so fortunate to receive so much incredible support from our community. Without support from generous partners, we wouldn't be able to help as many kids through our therapeutic services and residential programs. Recently, our network of community support grew when we met Suzi Boyle and Max Mohammadi. We'd like to give a HUGE thank you to our wonderful friends at erstad ARCHITECTS who generously donated $2,200 to Idaho Youth Ranch after winning a charity bocce ball tournament. When Katie first came to the Ranch Campus, she had no intention of ever returning home. Adopted as a teenager, she feared that her parents loved their biological kids more and the resulting conflicts had torn the family apart. Her intention was to complete the Ranch program, move into independent living, attend college, and never look back. Koda came to the Ranch Campus at 16 years old, so full of fight that the staff almost resorted to discharging him early for the safety of the other residents. “I had a whole bunch of anger problems,” he said, “It kind of ran in the family.” His home life on a rural ranch revolved around conflict with his mom and brothers, but fortunately, it also gave him a budding passion for horses and cowboy crafts. Koda credits the Ranch’s Equine Therapy with helping him understand for the first time that anger was something he could choose to control. Trauma can be transformed. Koda learned how to transform his trauma into something positive. In celebration of National Foster Care Awareness Month this May, we wanted to share some information you can use to get involved on these remaining days. 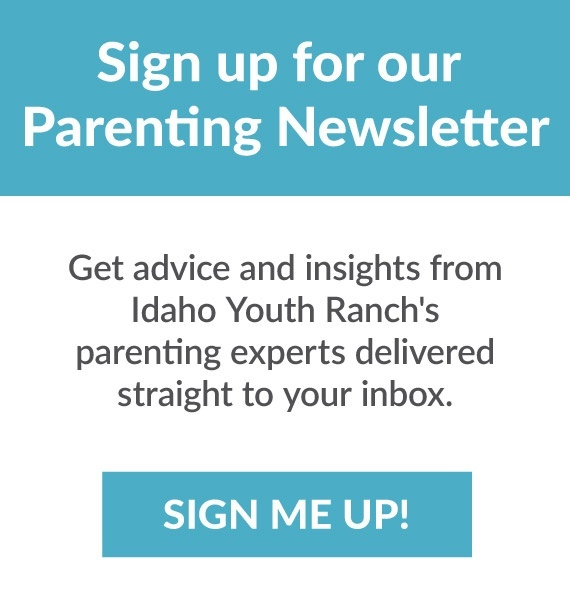 Centered around youth advocacy, the Idaho Youth Ranch works with families and children to ensure they have access to the help, resources, and education they need to positively change the trajectory of their life. With nearly 1,800 children living in the Idaho foster care system, it’s never too late get involved by giving back! With changes in tax laws in 2017, many Americans are left wondering how they can reach their philanthropic goals without compromising their tax benefits. There are several options that will help you do both. If you have a Fred Meyer Rewards card, you are just one step away from helping Idaho’s at-risk kids and families every time you shop.